Step back in time and eat Medieval Style. Check in for 11:25 departure from Dublin Heuston, opened in 1844 as the headquarters of the Great Southern & Western Railway and is now the official principal station of Iarnród Éireann, Ireland's national railway company. As your train departs, we travel in a south westerly direction, through Dublin's western suburbs and then through the lush fertile countryside of Co. Kildare. Our journey takes us through the Curragh which is famous for its racecourse, home of the Irish Derby, and there are many stud farms in the vicinity. Your route takes you into the midlands and the Bog of Allen, vast tracts of peat-land. Before then we pass through the County Town of Tullamore and then to Clara across the gentle farmlands of north Offaly. The train crosses the Shannon marks the historic border between the province of Leinster and Connacht -the historic province of the West of Ireland. You are now heading due west, surrounded by peat bog on both sides of the line. On the last few kilometers before Galway, you will get your first glimpse of Galway Bay. 1:40 pm: arrive at Galway City (note: a representative will be at hand to assist with luggage storage before you explore). Free time to explore Galway City. 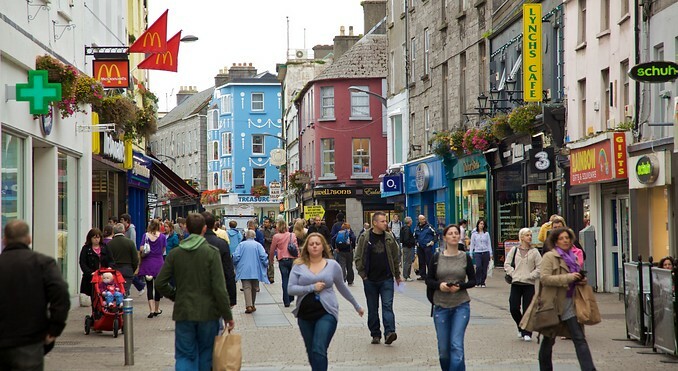 Galway City is one of the fastest growing cities in Europe. It began as a small fishing village centered around the estuary of the River Corrib, a river traditionally called Abhainn na Gaillimhe (The Galway River) after Galvia, a mythological princess said to have drowned in its waters. There is vibrancy to this friendly University City, which many delight in, and few forget. Music, festivals, horse racing, pubs, restaurants, shops, theaters and most of all Galway people, combine to create an atmosphere you'll want to return to again and again. 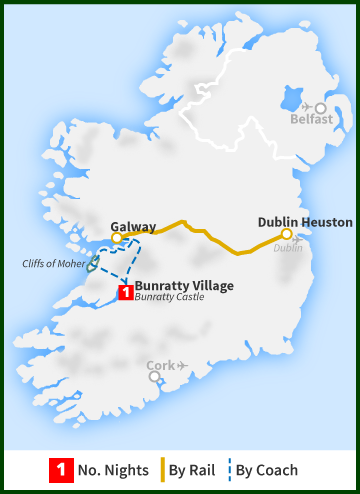 6:00 pm: depart Galway City for Bunratty Village for check in into your hotel (your representative will advise on arrival in Galway where this departure point is). 8:45 pm: Medieval Banquet at Bunratty, Irish Mead reception in Bunratty Castle before medieval banquet and legendary Irish entertainment. Afterwards perhaps enjoy a nightcap in Durty Nellys famous traditional pub beside the castle. Overnight Stay: Bunratty Castle Hotel. Enjoy a Full Irish Breakfast at your leisure. 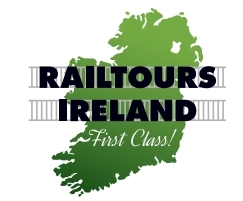 10:00 am: meet Railtours Ireland host for tour of Bunratty Castle and Folk Park. After the visit to Bunratty Castle and Folk park we make our way to Co. Clare. There is a lunch stop at O'Connor's Pub in Doolin before arriving at the Cliffs of Moher, among the highest sea cliffs in Europe. There is plenty of time to visit Ireland's second most popular tourist attraction and your host will advise you of the departure time. From here we take the coast road for much of the way to Galway, with time for photos along The Burren. This is a national park and the word Burren comes from the Irish Language, it means ‘rocky place'. It is a unique lunar landscape of limestone which was described in 1649 by one of Oliver Cromwell's men as: “No tree to hang a man, no water deep enough to drown him and no soil deep enough to bury him”. Today the Burren is noted for its diverse Flora with few parallels elsewhere in Ireland or indeed, Europe. We continue along the coast road to Black Head, passing the quaint coastal villages of Ballyvaughan and Kinvara before joining the main road to Galway. Some free time in Galway to explore the streets around Eyre Square or grab a bite to eat. 7:15 pm: depart from Galway by train and return to Dublin by a different route, via Athenry, Tullamore and Athlone, where we cross the mighty river Shannon once more.